Every year at I/O, Google’s ATAP division, which is responsible for turning some of the company’s crazier ideas into products, organizes its own small keynote. 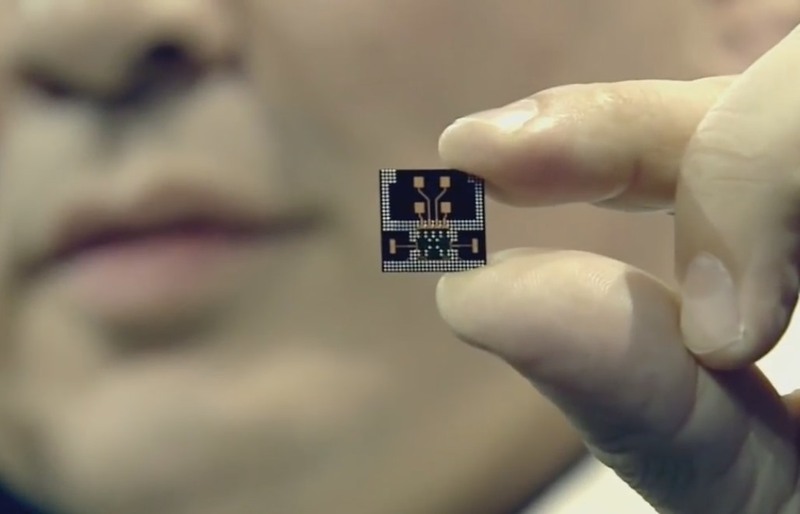 This year, the company offered updates on a number of projects, including Project Soli, its attempt at building a very small radar sensor that can translate hand movements into digital signals for building new user interfaces for wearables. After last year’s I/O demo, the team focused on bringing the project to developers. 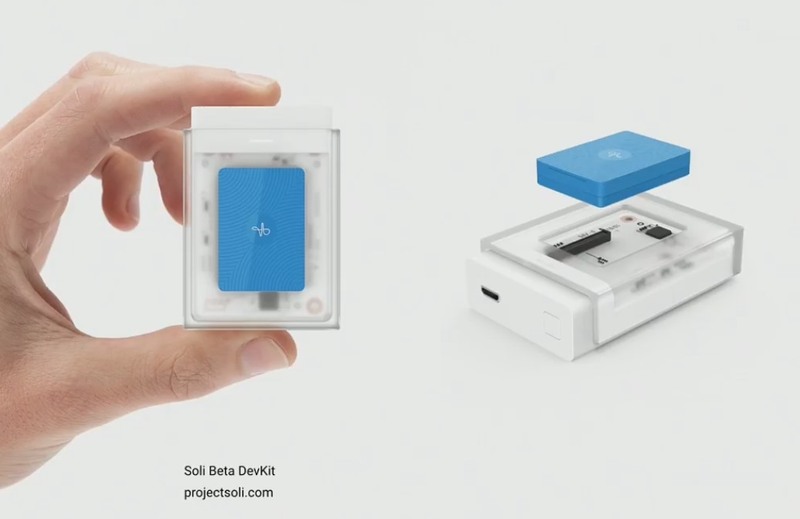 It first shipped a developer kit to about 60 developers last year. The team said it was encouraged by how those developers used the sensor; they built object recognition tools, musical instruments and more. The early kit, though, was really only usable in a controlled environment. It used too much power and while the sensor was small, it did need a fully powered desktop or laptop to run it. 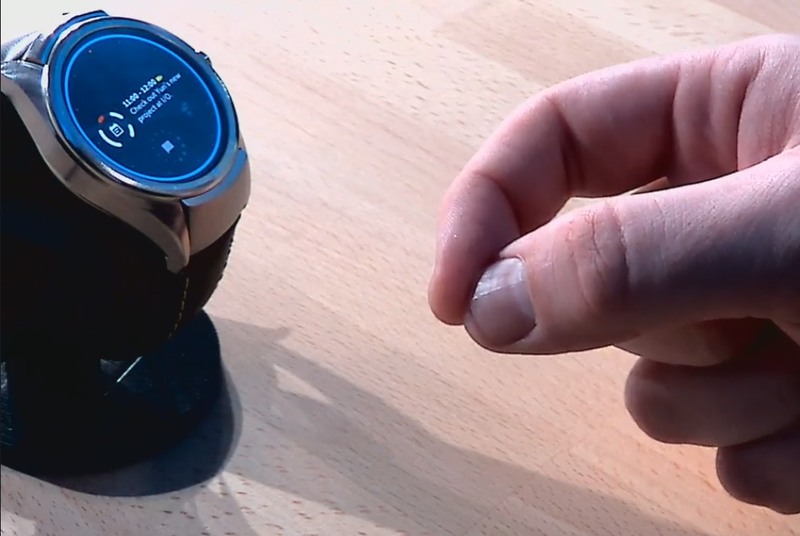 That’s obviously not useful, so the team challenged itself to run on a smartwatch. To do that, the team redesigned the chip with Infineon to reduce power consumption 22 times — down from 1.2 to 0.054 W now. The footprint is now also 3x smaller. Radar typically takes a lot of computational power, but this new version is now 256x more efficient and can still run at 18,000 frames per second. With all of this work, the team was able to build Soli into a smartwatch (“And it can even show time!”). 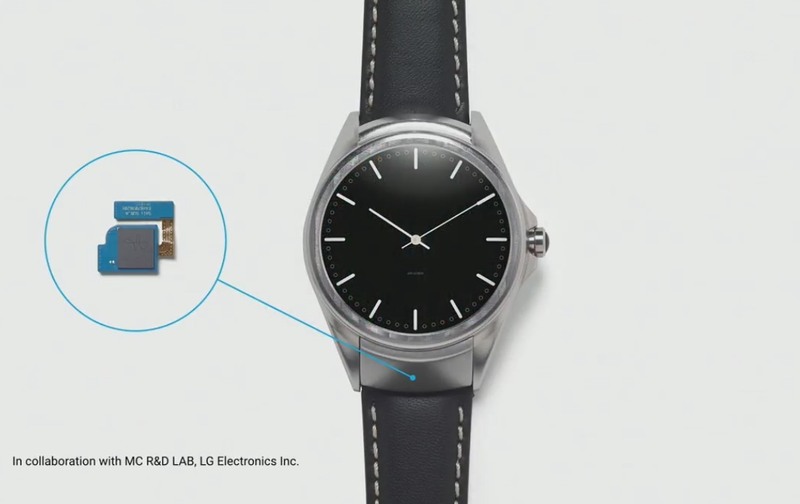 This means you can interact with the watch without touching it — and you can use basic gestures to interact with it. In a demo, the ATAP team showed how you can scroll across messages with pretty amazing precision by just holding your hand over the watch and move closer and further away. You can even use a virtual dial gesture to interact with the watch face — basically just like you would use an analog watch. The ATAP team noted that this means you can show more information on the screen, simply because you don’t have to account for the finger covering up the watch face. The team noted that Soli isn’t just meant for smartwatches, though. Working with Harman’s JBL brand, the team worked on building prototype speakers with a built-in Soli radar that allows you to control the speaker. The sensor can see up to a distance of 15 meters, so you could control your speaker from a distance, too. To further seed the development community, ATAP is going to launch a new beta-quality dev kit for developers next year. Sadly, it’s unclear when we’ll see the first products with the Project Soli technology will arrive in stores. But just like ATAP worked with Levi’s on bringing its Project Jacquard smart fabrics to market, it will likely do the same with Soli, as well.